Yep, you heard that one right. Usually we think of a celebrity’s Instagram page as a peek into the lives of the rich and famous. In Kylie Jenner’s case it’s most commonly been filled with selfies or, you know, the Ferrari Tyga so casually gave her as an 18th birthday present, NBD. 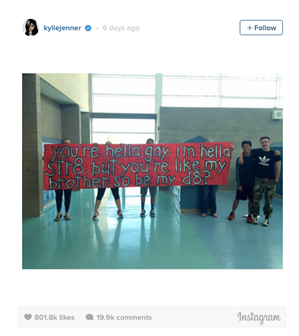 But recently, Kylie has been using her platform of followers to start a discussion we all should be following. She began the #IAmMoreThan Campaign, posting stories of those who have faced and overcame bullying, thus giving them a voice to speak out and help others. 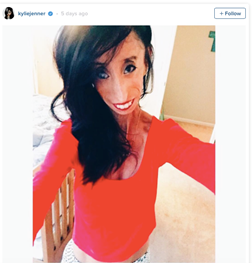 The photos and corresponding caption stories have ranged from Erica Schenk, the first plus-sized model to be featured on the cover of a fitness magazine, to Lizzie Valasquez, who was born with a rare disease preventing her from gaining weight and to Jacob and Anthony, who famously melted our hearts as prom dates, were also featured. And it seems the #IAmMoreThan campaign has been making a difference. Recently Kylie shared on her page that every Tuesday she will be sharing a new story for the campaign. So I say props to Kylie. It’s refreshing to see someone with such a vast platform of followers using it for something positive. 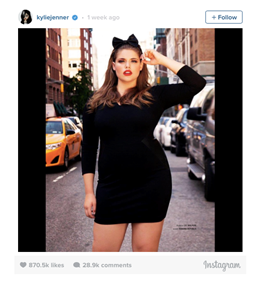 With that, I think Kylie Jenner has just gotten a new Instagram follower.